in your sustainability initiatives. Through co-creation, behavioral design and meeting places we create measurable results for a resource efficient sustainable future. The results are in and the pigeons happy! Colorful signs and ashtrays plus humorous messages worked 70 % better than ordinary black ashtrays. Here you'll find everything about the nudging study and the results. 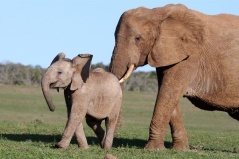 A nudge is a friendly, little push towards a behavioural change. 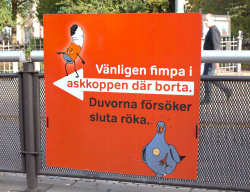 Nudging Sweden is a network that aims to initiate, manage and promote behavioural change for a sustainable future. 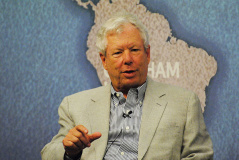 Professor Richard H. Thaler at the University of Chicago is a central figure within behavioral economics and nudging. A Win Win World and Nudging Sweden's work is deeply connected to Thaler's research and we send him our heartfelt congratulations. 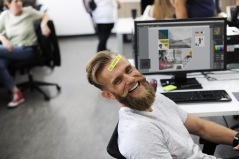 How do you design a workplace to encourage sustainable choices? We are launching a new concept to help nudge both employers and employees into more sustainable choices at work. Also want to get the Nudging Sweden newsletter? Sign up here.